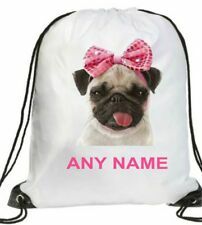 Personalised Child's Gym,pe/Swimming Bag. These Personalised Kids Swimming/Dance/PE/Gym bags are a must have for your own children or an ideal present to give as a gift. They are ideal for Dance,Gym,Swimming or PE. 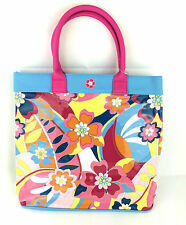 Personalised Flower Gym Bag. Premium quality draw string gym bag. Artwork by: AMBillustrations©. Toy Story Drawstring Bag, Ideal for the Kids Sport Kit. This bag is made from non-woven fabrics (It is avirulent and harmless material). How to Personalized your Bag. Good Quality. Great Prices. TEES4 GEEKS BAGS. 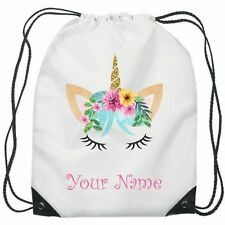 Personalised Unicorn Dabbing Gym Bag. Premium quality draw string gym bag. Avengers Drawstring Bag, Ideal for the Kids Sport Kit. This bag is made from non-woven fabrics (It is avirulent and harmless material). 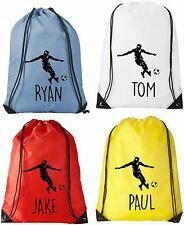 Football Drawstring Bag, Ideal for the kids sports kit. This bag is made from non-woven fabrics (It is avirulent and harmless material). Amazing galaxy emoji unicorn print. Ideal for the gym, PE, travel, work, school, swimming or even as a laundry bag - the choice is all yours. Drawstring closure at the top. Pls don't leave negative fee dback Fristly ,open dispute or case. 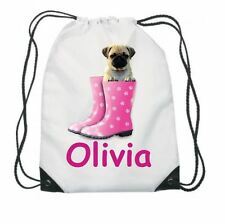 Personalised Printed Gymnastics Bag. Colours: White, Sponge Clean Only, Draw String Closure. Size: 32cm x 26cm, Capacity: 5 litres. Design Details: Design Size Approx: A4, As shown in the image. 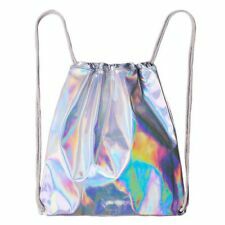 1x Unicorn gift bag. Perfect For School / Nursery / Pe / Swimming / Cooking Kit. Usage: Biscuits, cakes, bread,gift. 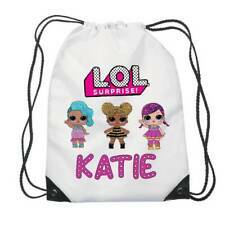 Drawstring bags, brand new. Ideal for school, swimming. 10 bags available.